Today’s Lectionary reading comes from John 6:27-40. Jesus starts off telling the people not to work for the food that perishes, but for food that endures for eternal life, which the Son of Man will give them. Alright so I guess we should all quit our day jobs, and start working for Jesus, because he will give us bread for the eternal life. I do not think this is what Jesus is saying and neither do the crowds. In fact reading what I wrote above just sounds silly. There is no way to quit our jobs and just work at living a perfect Christian life. Even those among us who work as: priests, pastors, monks, missionaries, etc. they all still have to work and do things that take up their time that are not pursuing God. Granted a lot of their work is based on pursing God, but not all of it. But the crowd asks the same question we do, “What must we do to perform the works of God?” Jesus answers them by pretty much saying, believe in me. We can all do this in any line of work that we have, we can believe in Jesus. The important thing to remember is God is right where you are, he is not out there somewhere. This is an important thing to remember, when you are sitting down to dinner, chatting with your co-workers, speaking with a customer service rep, or feeding the dog, God is right there with you. Really believing in Jesus is about learning to recognize him around you and in your mundane activities throughout the day. The crowd then starts to ask Jesus about how he is going to prove that is from God. They bring up Moses giving them manna in the wilderness. Jesus talks to them about this a little bit pointing out the type of bread God gives to the world. They want this bread. Jesus answers them “I am the bread of life.” This is one of Jesus’ “I am” statements, modeled off of what God says to Moses when he asks who he should say sent him to the Hebrews. He said “I AM WHO I AM.” He promises that those who come to him and who believe in him will not be hungry or thirsty. He will also never drive away any one who comes to him, who believes in him. So we do not have to fear being driven away from God or Jesus not helping us if we come to him. He will comfort us, help us, heal us, Father us, and keep us. This will continue on and we will not have to worry about the Resurrection, he will rise us up on the last day. We have our hope in the Lord Jesus and in his resurrection. I do not really want to spend a lot of time talking about Constantine since the last few posts have dealt with him in some ways. However, the importance of who Constantine is and what he did for the Church cannot be overlooked. He did more than just end Christian persecution. He also had a lot to do with defining Christian beliefs, not that he defined what Christians believed, but he did get bishops together to talk about what Christians believed. Another aspect that changed for all Christians was the worship of the Church. Before Constantine some churches had been built around the graves of martyrs or in out of the way places. The worship service was simpler. When Christians were allowed to express their faith they started to add things to their worship, such as incense, processionals, and choirs. The bishops also started to dress up, wearing special garments for the service. Some Christians might think of all these things as ruining the simplicity of the worship service before Constantine. However, I would suggest that with the freedom to worship as they liked the Christians developed these things not to appease the Emperor but to express their own faith and devotion to God. The bishops still had control in the church and even if they might want to express thanks and loyalty to the Emperor they did not have the change their services to do this. Constantine might have seen himself as over the bishops in some respects but he did not feel this way when it came to the issue of theology. Liturgy and worship experience is a huge expression of theology. As we say in the Anglican Church, we are what we pray. “Official Theology” was another development that started under Constantine. This was really more of Constantine allowing Christians to develop Christian doctrines which they could all agree on. So really Constantine made the Church catholic (universal). Christians had the same desire to see all Christians united under the same beliefs. For so long church leaders could only communicate through letters or visits with neighboring regions. However, Constantine in order to better organize Christianity’s belief systems brought all bishops (or their representatives) together in one place to discuss what beliefs were crucial to the Christian faith. We call this meeting the Council of Nicea, which met in 325. The bishops came together to discuss jurisdiction and the bishop’s power, they discussed the dating of Easter, and several other smaller matters. However, what was meant to be one small matter about the beliefs of a priest from Alexandria became a large focus of the meeting. I will discuss Arius’ beliefs in a different post. But for now we can say that they were heretical and so many were led astray by them, the Nicene Creed was written to combat this heresy. The Nicene Creed as it is commonly known in most churches today is not the actual Nicene Creed. What most churches recite today is the Nicene- Constantinopolitan Creed, which has its bas in the original Nicene Creed, but has some statements flushed out a bit more. So the unity of the Church and a basic set of beliefs can be said to be the impact of Constantine on the Church. He did not do a whole lot directly in the Church, but he allowed for drastic changes to be implemented by the bishops of the Church. Last week, we learned about the edicts of Diocletian. We also learned about the political chaos which racked the Roman Empire in the early 300s. When we left off last week Galerius had just passed an edict ending the persecution of Christians. However, five days after he passed the edict he died. So after Galerius’ edict regarding the release of Christians, most prisons opened their doors and many tortured Christians poured out of them. The Empire was now divided among Licinius, Maximinus Daia, Constantine, and Maxentius. The first three recognized each other’s office, but they all saw Maxentius as a usurper. Constantine, who had previously stayed out of much of the political maneuvering, decided to make a change. He gathered his army in Gaul and marched on Rome, Maxentius’ capital. Maxentius made the mistake of gathering his army outside the city walls and was defeated by Constantine. It was before this battle at Rome that Constantine either had a vision or a dream, in which a voice from heaven spoke to him. Wither it was a vision or a dream, does not really matter, Constantine obeyed and had all his soldiers place the symbol on their shields and standards. The symbol was what looked like the Greek letters chi (χ) and rho (ρ), superimposed over each other, which are also the first two letters in the word Christ. The voice told him “in this you shall conquer.” Some point to this as the beginning of Constantine’s conversion, which was really a very long process. With Maxentius defeated and dead, Constantine became the sole ruler of the western half of the Empire. Soon after his victory at Rome, he met with Licinius at Milan and together they declared that the persecution of Christians should end. Along with that all their churches, cemeteries, and other properties should be returned to them. This is commonly known as the Edict of Milan (313 AD) and it is usually pointed to as the time Christian persecution ended. However, Galerius’ edict was much more important and did a lot more for Christians. Even after the Edict of Milan, Maximinus Daia’s persecution of Christians continued. 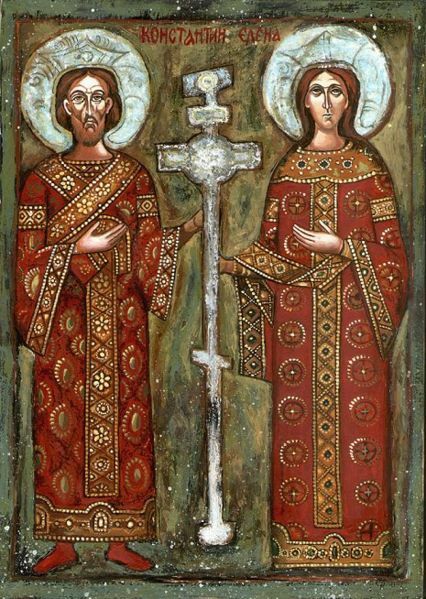 However, through several processes which I will discuss later Constantine became the sole emperor of the Empire and Christian persecution stopped entirely. So this marks the beginning of the peace of the Christian Church. The Church would face some local persecutions but it would not be an Empire sponsored or wide persecution. This is a very big deal for a new religion, which asked for a lot of exceptions to the rules. The Christians wanted to be given a lot of the same breaks the Jewish religion was given. The Romans were alright with giving the Jews breaks because they were such an ancient religion and had firm traditions (they loved tradition). However, when the Christians tried to ask for the same breaks, the Jews denied that they were part of their religion, while the Christians held to the stance that they came out of the Jewish religion. So they were not given the same breaks, such as sacrificing to the Emperor, freedom of worship, and some tax breaks. This post ends a major chapter in Christian History. After this time, the Church is no longer persecuted and it will have an influx of members, because it is no longer an outlawed religion. So some of their beliefs must be defined and polished for a larger audience. This will start a great process of theological development in the Church. Today, I have posted on a different blog about Stability. Sarah Carey has posted on my blog before and I have returned the favor for her. As you will remember Sarah is in South Korea for the year teaching English. Sarah noticed in her own life and in many of her fellow Fulbright Scholars, most of them are not sure what they are going to do after their year. I address this issue and stability at her blog. You can find it here. 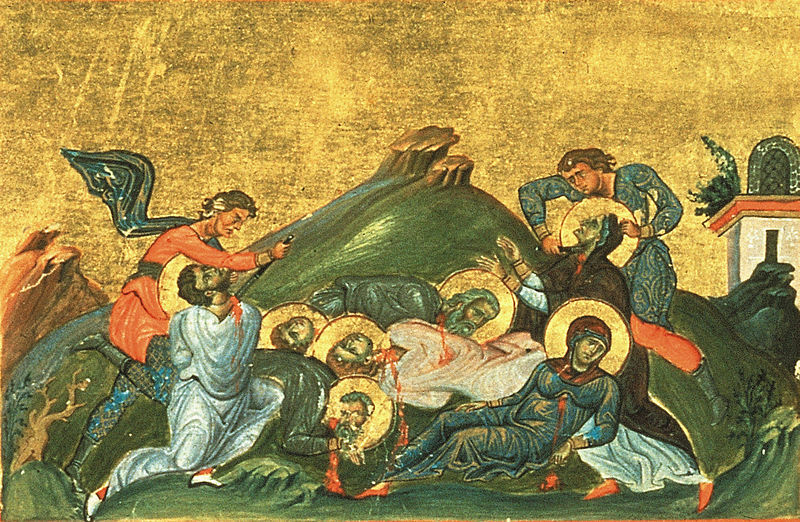 St. Perpetua and Her Companions are some of the most well-known martyrs of the early Church. Their feast day is next Thursday March 7th. Their story is touching and heroic. The main character in the martyrdom is St. Perpetua; she was a young woman from a wealthy family, a recent widow, and a new mother. Her companions were Felicitas (a slave), Revocatus (a slave), Saturninus, and Secundus. Their story is important and remembered because of Perpetua’s visions leading up to her martyrdom. She was given visions of her martyrdom including her fight with Satan in the arena and a vision of heaven. Perpetua was also only a catechumen (not baptized) at the time of her arrest. After sometime in prison, they were brought before the court for a hearing. Perpetua’s father was there and pleaded with her to denounce Christ and come home. She refused to give up her faith and left her future up to God. After this meeting she was given a vision of her younger brother who died unbaptized at the age of seven. She was that he was doing well and his disfigurement was reduced to a scar. Before meeting with her father she was given a vision telling her she would be martyred. Later she was also given another vision of her fighting with an Egyptian in the arena. She interpreted this vision as meaning; she would not fight only with the wild beasts in the arena, but with Satan, but she would overcome him. This was important for future generations of martyrs and Christians. Felicitas was pregnant at the time of her imprisonment and was worried she might not be martyred because she was pregnant. However, the day before the others were to be martyred she gave birth and was able to join them. So this situation is extremely foreign to much of the Christian world today. The idea that someone would be worried about not being martyred is so odd to our culture. The virtue of martyrdom has been quite downplayed in our culture. We might hear about martyrdom and persecution somewhere else, but we do not experience it in a real way. Remembering the martyrdoms of the past and being informed about the martyrdoms happening right now might help us with this. Also knowing how the ancient church viewed, discussed, and theologized martyrdom is important now, it reminds us what the cost of following Christ can really be. I would suggest going back and reading my posts on Imitators of Christ, which I posted in May of 2012. They will help you understand how the early Church viewed martyrdom and why it was and is so important. Today I would like to talk about the ancient prayer practice of the Church, Lectio Divina (Divine Reading). The Church has used this prayer practice since the early Church. Origen of Alexandria is believed to have been the first to make this practice popular. St. Ambrose of Milan also practiced it and taught it to St. Augustine of Hippo. The Desert Fathers also used the practice and it has been used by monks and nuns since then. St. Benedict made it a common practice in his monasteries. It is a form of meditative/contemplative prayer. But it is a little more focused or guided than just contemplative prayer. I have found this practice extremely helpful and very productive. 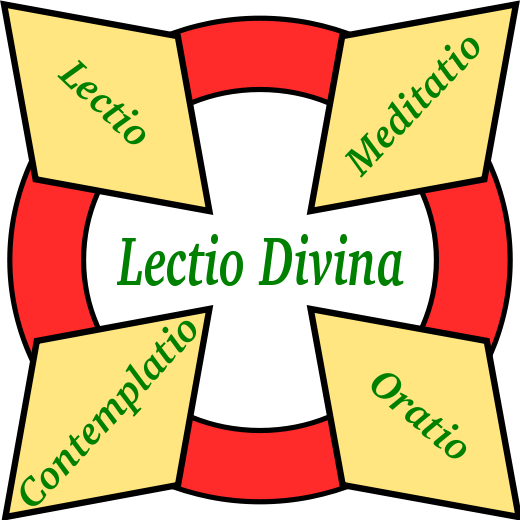 There are four common steps to Lectio Divina, I usually like to add a primer step, just to get myself to the place where I can pray and listen to the Lord. I think the primer step is just as important as the other steps. Primer: Take a minute or two to just prepare your heart for some time with the Lord, clear your mind of all the things that you need to do in the day or have done. Sit in a relaxing place. Maybe write down your worries or things you need to do as a way of getting them off your mind before focusing on the Lord. First: Lectio (Read). Read a passage until you come upon a word that jumps out at you. This might be a word or phrase that God has put on your heart or just some word that sticks out that God is trying to educate you about. Second: Meditatio (Mediate). Mediate on the word or phrase. In this step no thoughts or material is off limits, think about the word or phrase, look it up in a dictionary, look up the verse it is in in a commentary, think about it. Chew on the word; think about all its aspects, meanings, what it stirs up in you. Chew on the word like a cow chews its cud, get all the important information from it that you can or feel is necessary; but just sit with it thinking on it and studying it. Third: Oratio (Prayer). Pray about the word; ask the Lord what he is trying to tell you with this word. Does this remind you of someone you need to pray for or a situation you need to pray about? Ask God where this word is touching your life today. Ask God if there is anything that he wants you to change or do in response to the word. Ask God if he is inviting you to change in any way in response to the word. No prayer is off limits in this time, let the Spirit led you to pray about whatever comes into your mind and heart. Fourth: Contemplatio (Contemplation). This is a time to try and clear your mind and just sit with the Lord. Clear away your words and just sit in the presence of the Lord. Let him love you and minister to you and possibly speak to you. This is a time where he might answer your questions you asked in prayer or he might just minister to you in silence with his presence. This is a time to rest and relax, in some cases to escape from the day or prepare for the day. So I hope you enjoy this practice, let me know in comments if you use it and if you think it was a good practice. In this section of the Gospel, Jesus has just come back from the festival in Jerusalem. He was back in Galilee and the Galileans remembered him and the miracle he performed there (water into wine). There was a royal official who was in Galilee; he had a sick son in Capernaum. When he found out Jesus was in Galilee, he sought Jesus out and begged him to heal his son. Jesus starts to criticize the official because he only wants a sign. The official continues to plead with Jesus, asking him to come to Capernaum to heal his son before he dies. Jesus tells the man his son will live. At this the official believes Jesus and goes on his way to Capernaum. As he was going down, some of his slaves met him on the road and told him, his son had recovered. Further, it was revealed that his son started to recover at the same time Jesus had told him, his son would live. This confirmed the belief the man had put in Jesus and he and his whole household believed in Jesus. There are some interesting things going on in this story, but we kind of have to put ourselves into the story. I am at a point in my life now that I can empathize with the official in this story. If my daughter was sick and on death’s door, if I heard about some holy man anywhere near my region, I would seek him out and ask him to heal her. I would also not give up when he says that I just wanted a sign. I would say I want my daughter to live! If someone told me, go your daughter will live. I would thank him/her and run to my daughter to confirm the statement. I would also be willing to believe in someone if I was told at the same time the holy person said she would live, she recovered. It is hard to not believe when someone puts your family to rights. I think another point that this story points out, is what Jesus came to do, put the world to rights. Now it might not seem like one healing could set the world right or start to undue the curse of Adam and Eve. However, this just want it means. This family was restored to its fullness (as far as we know). Healings are one of the best examples of putting things to right. It is taking someone that is not whole (at least in the sense of God created Adam and Eve whole); they are sick or unhealthy in some way and thus not perfect, physically or mentally. When we have an illness either something has invaded our body or our body is malfunctioning in some way. Jesus healing someone is putting them back to the way that they were meant to be, before something happened (I am sorry if that sounds offensive). In some ways Jesus is bringing about the future restoration/resurrection perfection into the present. It is almost an appetizer or foretaste of what is to come, when God puts the whole creation to rights. Question: What areas in your life need healing or to be put to rights? How is God making this happen? Have you asked him to heal that area? If you need a recap you can find it here. So Diocletian’s edicts against the Christians were some of the harshest and restricting the Christians had seen. His first edict was that all churches and Sciptures be burned. The second edict was leaders of churches should be arrested. The third edict was a reprieve and allowed the clergy to be released if they were willing to sacrifice to the gods. However, most clergy members were not willing to and had to be tortured into sacrificing or literally had their hands forced into it. The fourth edit was a devastating decree, mostly because of the relative ease of several decades the Christians enjoyed. The edict ordered all persons to gather in a public space and offer a collective sacrifice. If they refused they were to be executed. A case was made for the Christians to abandon their faith, which many did. Others who stayed strong in their faith were put to death in a variety of ways. Some Christians fled, taking the Scriptures with them. Some Christians even left the Empire escaping into Persia, thus reinforcing the idea Christians lacked loyalty to the Empire. Soon after Diocletian’s last edict he fell ill and Galerius tried to seize power from him. Galerius also gave Maximian the choice of abdicating or face invasion by Galerius’ superior army. So soon after Galerius and Constantius Cholrus ascended to the rank of augustus, with Severus and Maximinus Daia, as (puppet) caesars under them. However, things did not go well for long. Galerius took Constantius Cholrus’ son, Constantine hostage and kept in his court to insure Constantius’ loyalty. Constantine escaped and joined his father, when his father died the troops disobeyed Galerius and proclaimed Constantine as their augustus. There are also a lot of other power struggles and Galerius tried to invade the West, but his troops started to turn on him, so he had to retreat. Finally he asked Diocletian to come out of retirement and establish order, however, Diocletian refused stating he was quite happy growing cabbages in his retirement, although he was willing to lead negotiations among the rivals. All this ended in an unstable arrangement, and a new appointment of Licinius as an augustus. Unfortunately in the midst of the political chaos, the persecution of Christians continued. Thankfully the impact of the persecution was set by each emperor in the regions. So in the West where Constantine and Maxenitus reigned, the policies were not enforced. Unfortunately in the East where Galerius and Maximinus Daia reigned the persecution continued. Maximinus even sought to perfect the policies of Galerius, by maiming Christians and sending them to work in stone quarries. This plan backfired when Christians started planting churches in their work places. So Maximiuns had some of the Christians killed and other deported again. All the while the list of martyrs grew longer and longer. However, help was about to come from an unexpected source. In 311 Galerius became ill with a painful disease. Possibly convinced by the Christians who said this was a punishment for the persecution of Christians; he decided to change his policy. In an edict he issued in 311, Galerius states he is moved by mercy to allow Christians to once again worship their God and gather in their assemblies, as long as they do not interfere with the public order. In return for the Empire’s tolerance, Christians were required to pray to their God for the Empire, the public good, and for themselves, so the state might enjoy prosperity and peace. This is where I will end it today and next time I will continue with the peace following the persecution. Also just general note, sorry for not posting Thursday or Friday of last week or yesterday; I went to the doctor on Thursday afternoon and found out I need to have a routine diagnostic procedure. I, however, was not expecting that and needed some time with my family to process. I spent the time I would have written a blog yesterday, setting up the time for the procedure. I will have it done next Monday, so there will not be a blog post on Monday and depending on what they find maybe the days following. I will also hopefully be out of town March 7th and 8th for a Company of Jesus retreat, if I can get the time off work and there is no bad news on the health front. I think that is all for now. So I would ask for your prayers Monday for good health. I love The Letter to the Hebrews, when I thought about doing a Master’s in Biblical Studies; I was going to study Hebrews, James, and 1 & 2 Peter. I find that Hebrews has a lot of important information, which we seem to forget about. This section starts out with a warning and exhortation. It is a message for today; do not have a heart that turns away from God. What a simple, yet complex warning. The author is pretty much saying do not do what comes natural to you. It is a request to turn away from sin and self-will. In the next verse the author exhorts us to encourage each other every day as long as it is called ‘today.’ So every day we should encourage each other to follow after God. But why should we encourage each other every day? “So that none of you may be hardened by deceitfulness of sin,” encouraging is a two way street. The person receiving encouragement gets a timely word from a friend, loved one, or from God, reminding them who they really are. But the encourager also is blessed, because he/she gets to speak the truth into someone’s life and gets to brighten the day of someone else. I am Brother Barnabas in the Company of Jesus, the encourager. I know first-hand, when I encourage someone or pray for them and they are encouraged, blesses me to know that I am living out God’s calling in my life. So the encouraged gets to be lead out of the deceitfulness of sin, but so the encourager. The author is also calling us to have a fresh faith at all times (how that sounds really evangelical, sorry). We should have the same confidence in our choice of Christ, when we have been Christians for 20 or 30 years, as we did the day we converted. This is a tall order, because it is very easy to become complacent in our faith with time. This is why the author’s exhortation to encourage each other every day, so we can keep up that new faith feel. The problem is that after a while we start to turn away from God, we stop listening for his voice and after a while it becomes much harder to hear it. Sin clouds our mind and our hearts and we start believing the lies of the enemy and forget the promises of God. However, through the church community we can be reminded of what God says to each of us and reminded of how to listen for his voice and not harden our hearts. This is one reason the church community is so important, because we constantly need others to build us up and encourage us. Christians who want to be an island or who want to limit their interaction with the church to Sundays are going have a much harder time, than those who want to be part of a community within the church. The early church held all things in common; this is one way of building community. We can also think of the church building as a community space, this is another way to build community; however, we should be careful to not make the church building a community center/gym/daycare/coffee shop instead of a house of worship. I am not saying that worship cannot take place in the midst of a coffee shop or gym or something like that. But we should not be going to the church to go to the gym or the coffee shop, we should be going to the church for worship and community, and while we are there for those purposes we can seek physical fitness or friendship through a gym or coffee shop at the church. Question: Who have you encouraged lately? Have you been encouraged by a Christian brother or sister lately? Who is God calling you to encourage today? Warning this will have some pretty heavy history talk in it (and it might go on for more than one week)! Early in the fourth century, the worst persecution of the early Church took place, but was also the last widespread persecution in the early Church. The persecution took place under the Emperor Diocletian, who was actually a smart emperor. He understood the vast Roman Empire was too much for one person to control. So he shared power with three other people, he and Maximian took the title “augustus.” Under these two were two junior emperors, Galerius under Diocletian and Constantius Cholrus under Maximian, with the title “caesar.” It seems Diocletian also thought the best way for someone to be a good emperor was to train them, thus the junior emperors. He also hoped that this would reduce the prospect of civil war when it came time for a caesar to succeed an augustus. So this was part of the political situation the Empire found itself in before the Great Persecution broke out. The start of the persecution started to arise with Galerius and his army. Galerius was the only emperor who needed to engage in serious warfare. He feared that the Christians in his army would refuse to follow orders because of some theological debates about wither Christians should be in the army. So he asked Diocletian to order all Christians dismissed from the ranks of the army. Diocletian granted the request and ordered all Christians dismissed from the army. The edict did not call for any further punishment against the Christians. However, in some areas, most likely because of zeal and officers not wanting their ranks thinned, they tried to get the Christians to deny their faith. When the Christians refused they were executed, almost all of the executions were in Galerius’ army. Galerius from this time on it seems had a grudge against Christians. In 303 he asked Diocletian to pass another edict removing Christians from all positions of responsibility in the Empire. Again this was not meant to be a violent action against the Christians. But the problem was that the Christians were not just removed from government positions, but it was declared that all Christian buildings and books be destroyed as well. However, most Christian leaders and deacons were unwilling to give up the sacred books. In some cases when they refused to give up the books, they faced torture and execution. Then fire broke out twice in the imperial palace. The Christians were blamed; Galerius believed it was revenge for their books and churches being burned. Some Christian writers of the period suggested Galerius might have set the fires himself. This broke Diocletian’s calm nature towards the Christians. He declared that all Christians in the imperial court must sacrifice to the gods. Diocletian’s wife and daughter, who were Christians, complied with his orders and sacrificed. However, the Grand Chamberlain Dorotheus and others suffered martyrdom for refusing to sacrifice. Throughout the Empire churches and books were being burned, however, in some places throughout the Empire overzealous officials decided to follow the Emperor’s example and put Christians to death. However, Constantius Chlorus’ area there was a slight respite, where persecution was limited to tearing down some church building (at least according to Eusebius). I will end it here for this week and pick it up next week with Diocletian’s edicts and the some more information about the persecution.